The most basic, yet crucial step is to transcend your business’ identity on all media. So, create a separate Facebook page for your business and use a recognizable profile and cover picture. All the posts should revolve your business and not you. Remember, it is a separate entity. Fill your page with every detail your target audience needs to know and is relevant to your business. You also need to use targeted keywords in the “About” section for your page to pop up when someone searches for anything related to your brand. It is a good practice to post once every day, but again, you cannot post just anything on your business page. So, posting thrice a week for starts is good enough. Prioritize quality over quantity. The goal is to garner as much engagement as possible, so craft your posts accordingly. Hiring a good social media agency to do it for you will work best for your business. Facebook tools enhance your chance to garner higher engagement. There are some additional, but optional, steps that you can opt for to increase your business’ Facebook posts or ads. 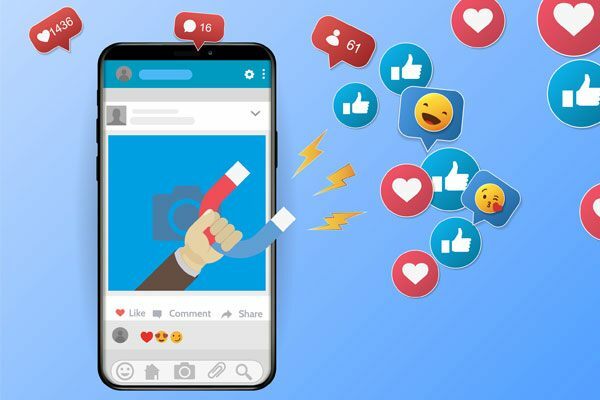 The prominent engagement enhancement tools/ activities include pinning important posts, auto-scheduling posts, CTA buttons, using Facebook ads, analytics, and more. Your work doesn’t get done there. Once you’ve set everything up, you need to monitor your page for positives and negatives of the campaign. As unpredictable as social media platforms can be, it is always better to keep making amendments to your set-up and look for what works best for your business. Minute tweaks also make a significant difference. In short, your Facebook marketing campaign ought to rock! Team up with the best social media agency to get acquainted with the most influential tricks and strategies they have in store… or just follow the steps mentioned above and you will be good to go. Once you’ve implemented, don’t forget to let us know how your Social Media Mmarketing is shaping up!